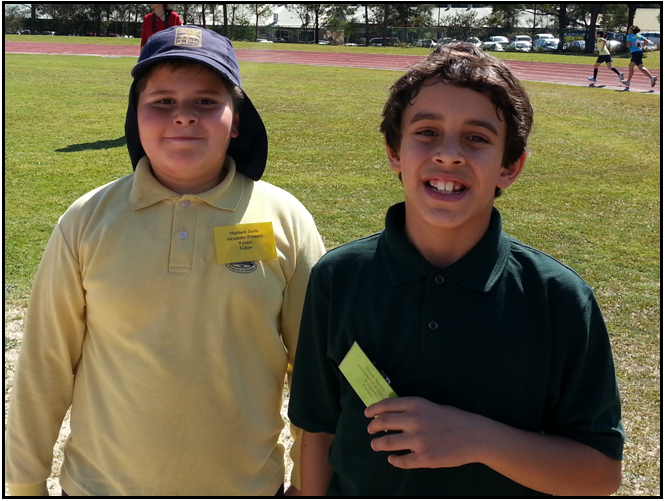 The students were treated to a great sporting experience on Wednesday, 4 September 2013, when they attended the Integrated Sports Day hosted by the Sydney Japanese School. After a fun warm up, the day started with running races. The students then showed their strength in the Tug-of-War. The teams were able to compete in Tamaire, a traditional Japanese game where balls are thrown into high baskets on poles. After stopping for lunch all students did the Ghenkis Khan dance. Next it was time for the Big Ball race. Each child also got the opportunity to take part in the long jump. After this everyone came together for the presentations. It was a fun day for all, filled with meeting new friends and great exercise. 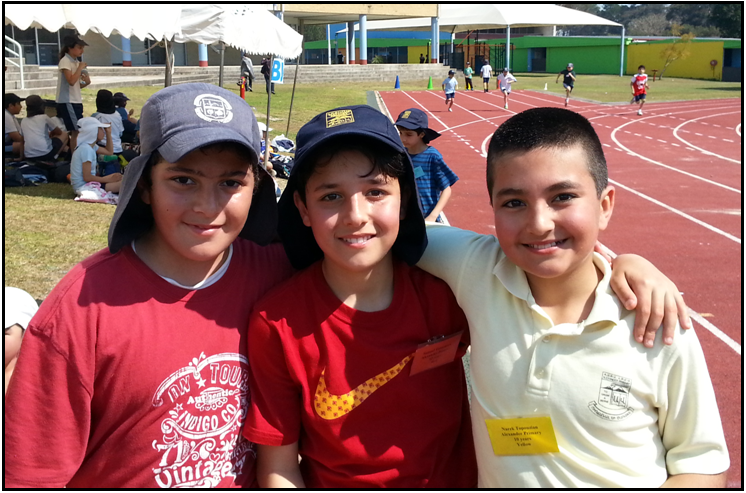 Our school participated in the ‘Integrated Sports Day’. The schools who went to the Integrated Sports Day were the German School, Galstaun College, our school and the hosts the Sydney Japanese School. We did this from 10 o'clock until 2 o'clock. This means we were there for four hours! But the time went quickly. The schools that came to compete in the Integrated Sports Day came in Red, Green, Yellow and Blue coloured shirts. At the Sports day we participated in running races, long jump, dancing, tug-o-war, big ball race, throwing balls in the basket, soccer and AFL. When we got there I felt nervous. I also felt very hot because it was a sunny day. The favourite thing that I did at the Integrated Sports Day was playing the team game, balls in the basket. My team, the Green team, won that game. My second favourite part was the award ceremony because I received a certificate. I came equal first with Tyler Togo from the Japanese School in the sprint race.